After my first Sprint triathlon back in 2012 I swore never to do another one and especially never do an Olympic triathlon. These people must be mad to consider the Olympic distances. 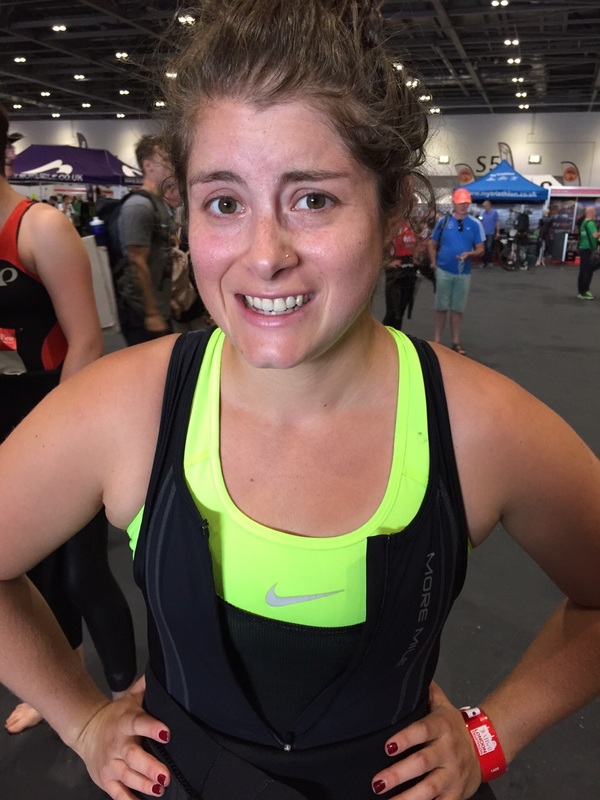 Fast forward 3 years and with one more Sprint distance under my belt I was arriving at the London Triathlon with a hell of a lot of sweat and pain in front of me. My training had gone relatively well with some solid brick sessions and a fair few 10k races throughout the summer so I was strangely excited about getting started. I set up my bike and transition kit in the biggest transition zone I’ve ever seen and spent a good 5 minutes visualising the routes in and out for each stage. 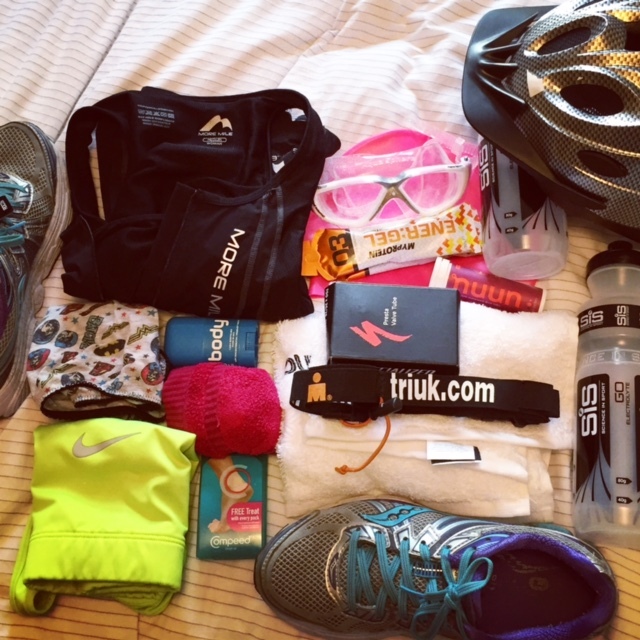 There’s nothing worse than arriving in transition and forgetting where you left your bike. 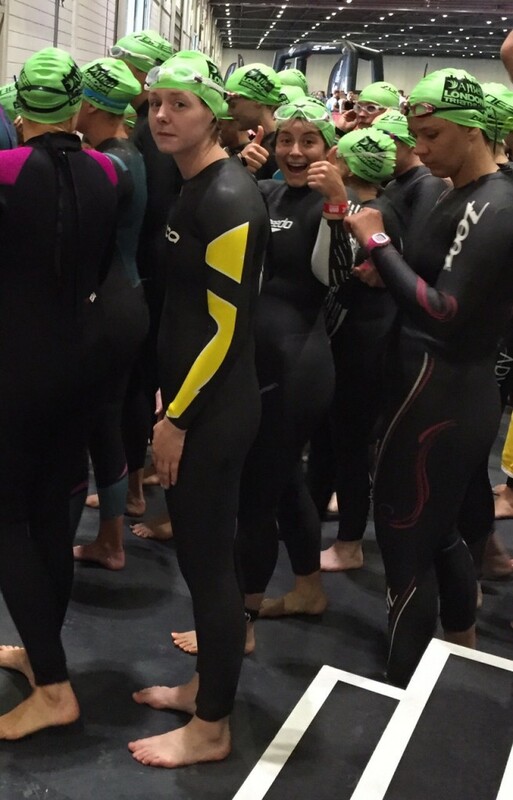 I took the plunge before this tri and got myself a bigger wetsuit, a men’s size small from Speedo. It felt like a much better fit than my old one and I made sure to pull plenty of surplus wetsuit up around my shoulders to get the most freedom of movement. A quick walk down the stairs and onto the pontoon and I was in the water. With water flushed through my wetsuit and a couple of head dunks under the water we were off! I started at the back of the group to avoid the worst of the splashing scrum and I got into my stride quickly. 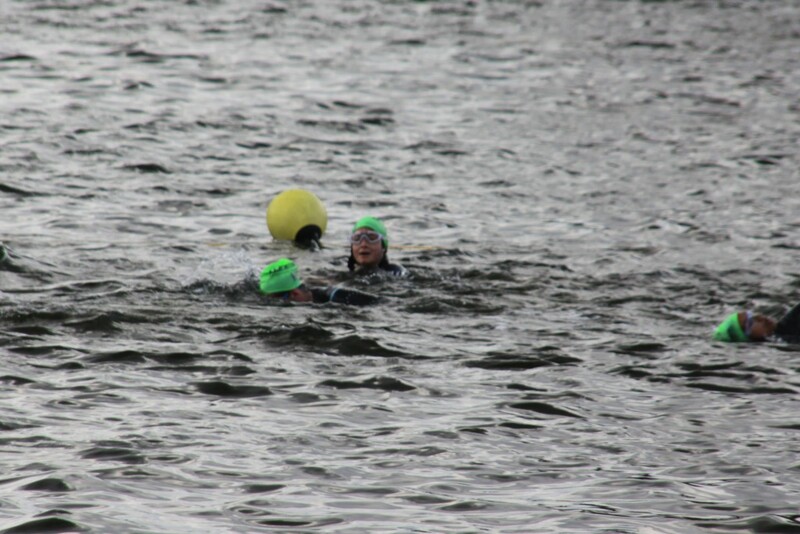 Amazingly I was gliding along, face in the water, front crawling my way along, all of which is a massive change from my previous triathlons where I plodded along doing breast stroke with my head out of the water because it was ‘too cold’. The 2 laps flew by with a brief pause while the next wave of men swam over, through and around me and I just focused on clinging onto the rope and not drowning. 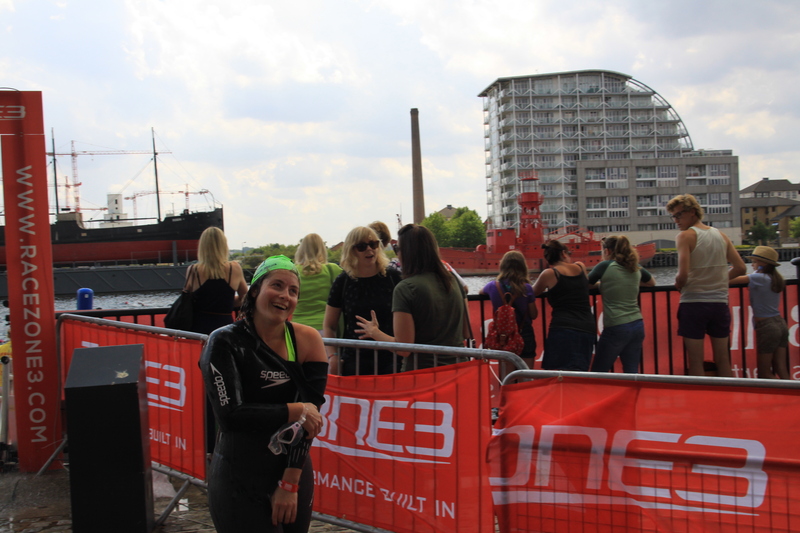 As I came out of the water into transition I had the classic post-swim transition dizziness which threatened to sideline me. I genuinely thought I was going to faint and DNF which quite frankly was not an option. 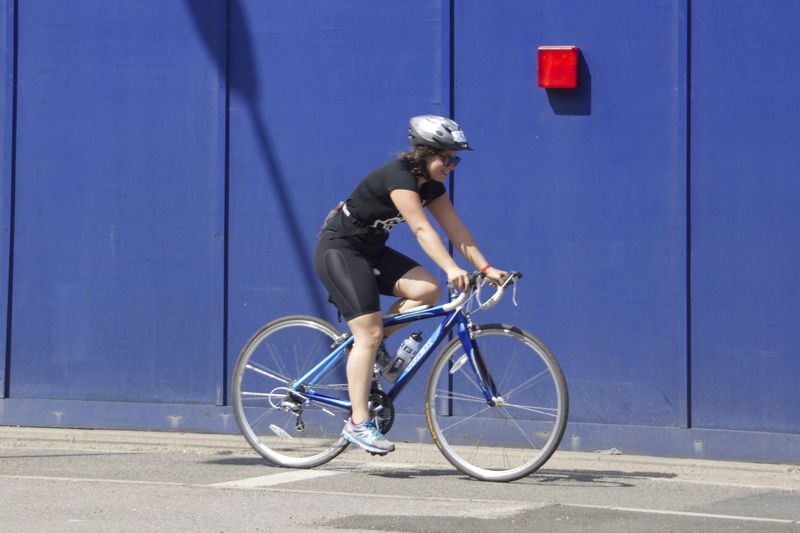 I walked to my bike, took a deep breath, a swig of water and headed out onto the bike course. As soon as I stepped onto my bike the dizziness passed and I choked down a gel. Head down, legs flying I ploughed through the first lap, figuring out where all of the potholes and bumps were so that I could avoid them on the next 3 laps. The course was simple with a couple of hills as you go up and over the bridge at one end of the course but mostly flat. The only problem is that it’s really boring! It’s a straight out and back in both directions which was tough in the blazing sunshine and the lack of supporters on most of the course didn’t help either. I kept topping my glucose levels up with the Energels and so my legs only started to feel tired on the final lap. 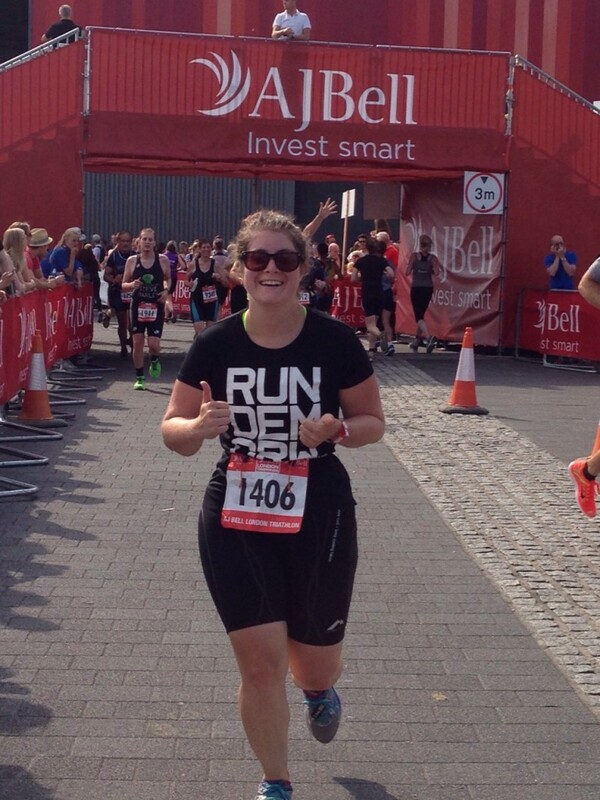 I turned into transition and ran my numb little legs out onto the run course. This was the worst leg by far because my legs had given up the game. I ran the whole first lap on numb legs and then the pain hit. I was literally running on empty so I took it easy, alternating running and walking to get through each lap. By this point it was a mental game and I was trying to break each lap down into sections to make it more manageable. 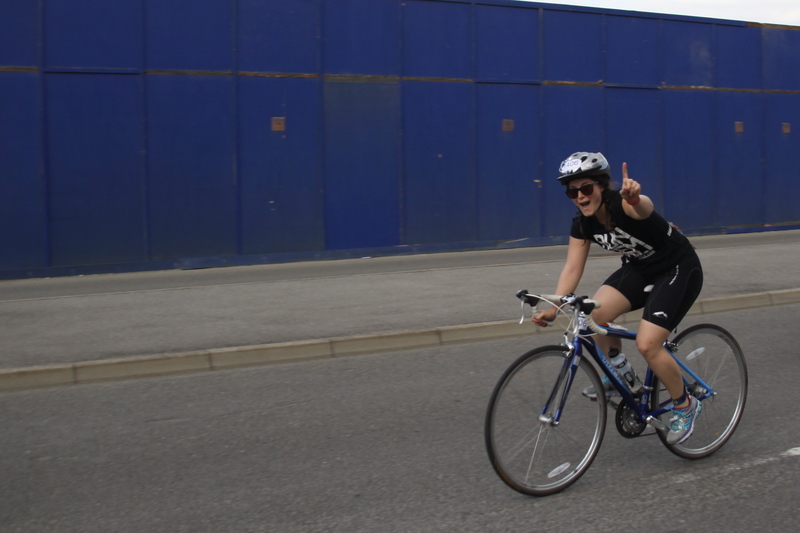 The ear-splitting cheers from my 2-man support team kept me going and gave me a reason to finish the race. Thank you Simon & Kate! The sense of relief as I turned into the finishing chute was unbelievable. 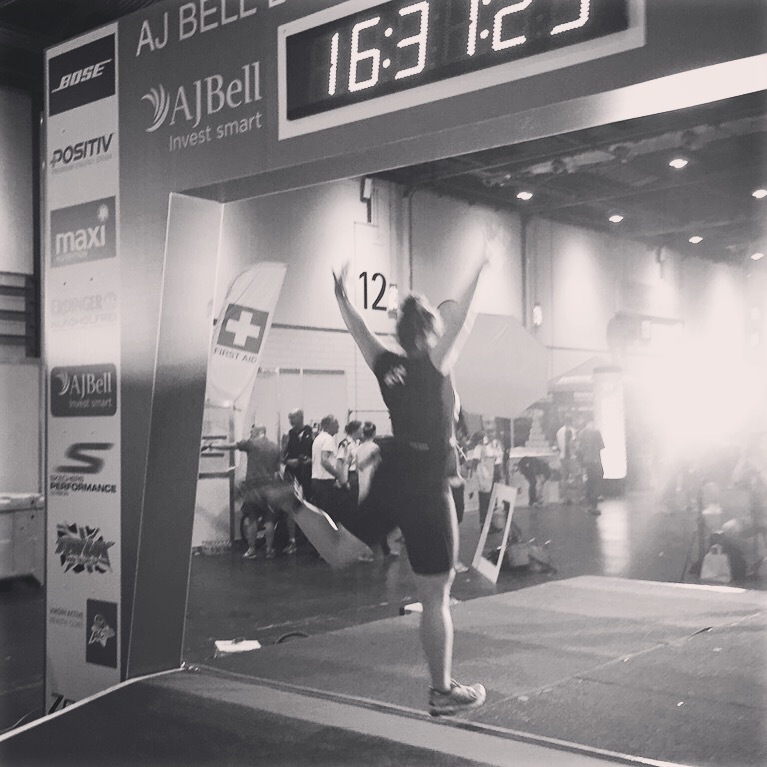 I managed a sprint finish (no idea where that came from) and a pathetic jump over the finish line which looked much more epic on camera. I achieved my one and only goal, to finish the race with a smile on my face (and a smile in every photo). I enjoyed it, I broke away from my open water swimming demons and I showed myself what I need to work on for next time. Because yes, of course there’ll be a next time. You didn’t think that would be it did you? Thank you! 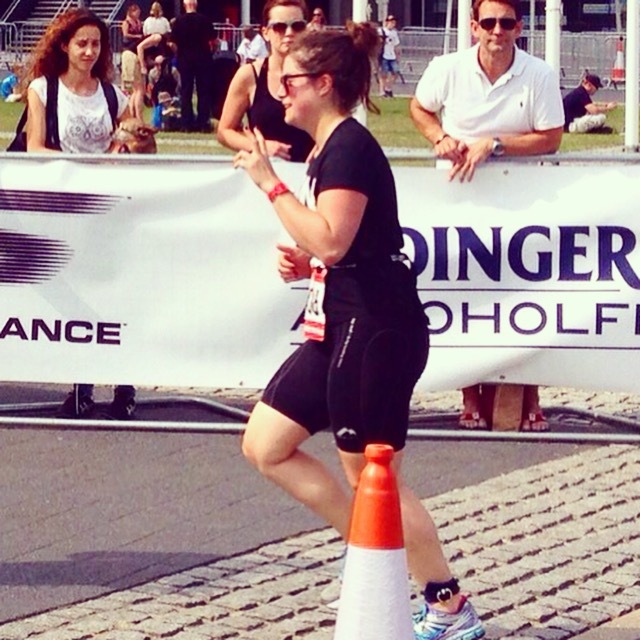 I was just so happy to be out there and doing the triathlon.